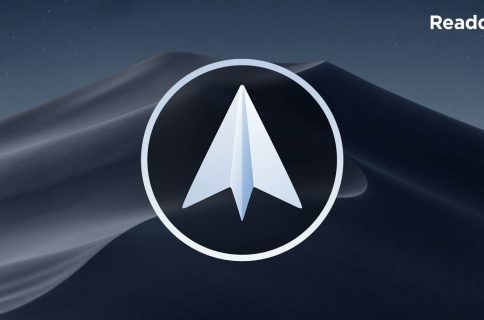 Ukrainian developer Readdle, the maker of some of the finest productivity apps for the iPhone and iPad, today launched its most ambitious project yet, a personalized email client for the iPhone and Apple Watch conceived to help you deal with your inbox faster. 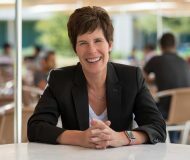 The app is called Spark, it looks neat and offers a number of compelling features, like quick replies, powerful search, fast signatures, smart notifications, attachments, cloud services support, email-to-PDF conversion, a WatchKit extension to check important messages on the wrist with an Apple Watch app and a glance, and much more. The app looks beautifully simplistic, it’s fast and can be customized by changing Spark’s widgets and sidebars to match your workflow. In addition to a Smart Inbox with nicely designed cards that help you tame your inbox, Spark also supports the traditional unified view of your inbox. 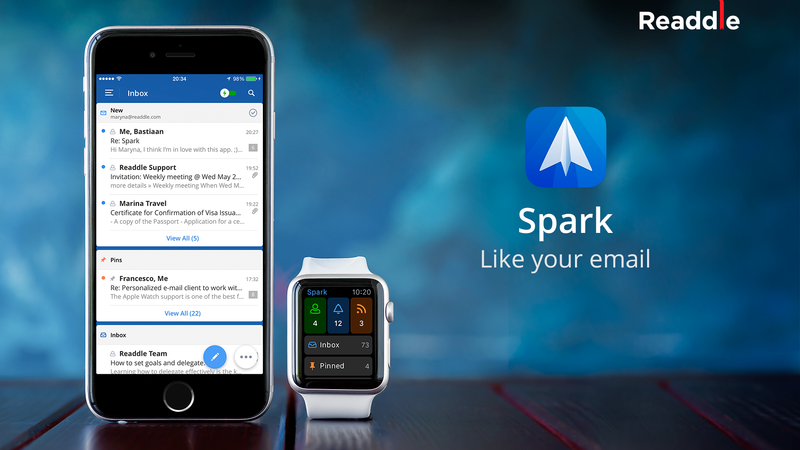 In this view mode, Spark collates emails from multiple accounts in one place, just like Apple’s stock Mail app does. Spark’s unified inbox take this one step further by automatically categorizing messages: the app is clever enough to tell the difference between a personal email, a notification and a newsletter. Because it’s content aware, Spark can tell if an email is from a real person or an automated service. Your messages get grouped by the sender: from people you know and from automated services. This lets you quickly delete all newsletters and other emails from online services with a single swipe to free up space on your email server. Deleting unwanted emails also makes Spark run faster. To process your emails even faster, swipe left to archive messages you’ve already dealt with, or pin ones that you want to return to later today. 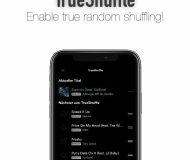 For those wondering, the app supports snoozing like Dropbox’s Mailbox so you can easily swipe to snooze a message for tomorrow or another day. Snoozing in Mailbox has spoiled me and I’m glad that Spark supports this feature because I simply don’t have the time to deal with each and every message. Besides, I strongly dislike being forced to prioritize my emails with folders or tags so snoozing is an indispensable feature in my workflow. But what good is an email app without a powerful search? Thankfully, Spark delivers: the app integrates natural language processing so you can type something like “attachments from Seb last week” and Spark will automatically find all the emails Seb sent me last week which have an attachment. Speaking of attachments, Spark supports adding attachments from, or saving them to popular services such as Google Drive, Dropbox, Box, OneDrive, Readability, Pocket, Evernote and OneNote. You can even connect two accounts for one service (i.e. personal and work). 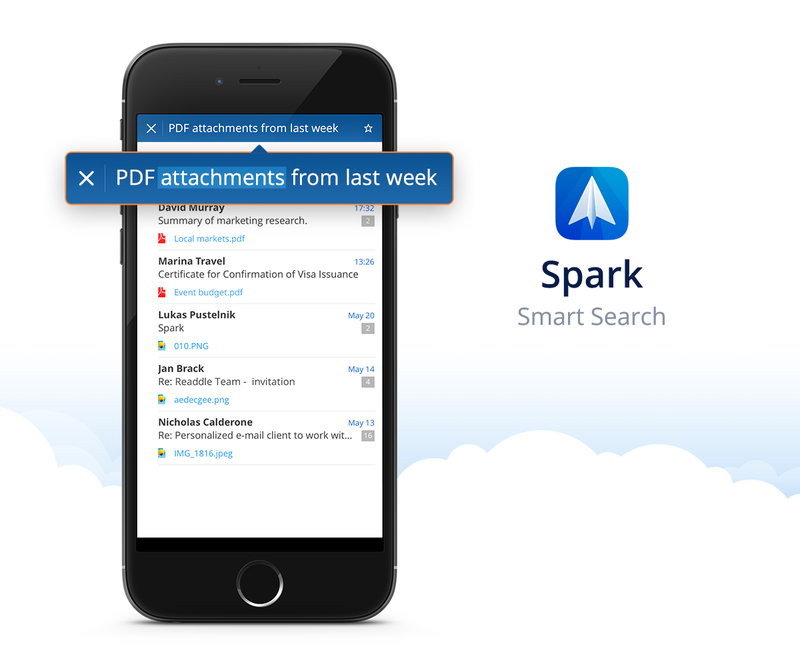 I’m liking a lot the fact that Spark permits me to save an email message as a PDF document to my iPhone, or a cloud service of my choice, canceling the need for a specialized PDF creator app. Check out the Spark promotional video below. 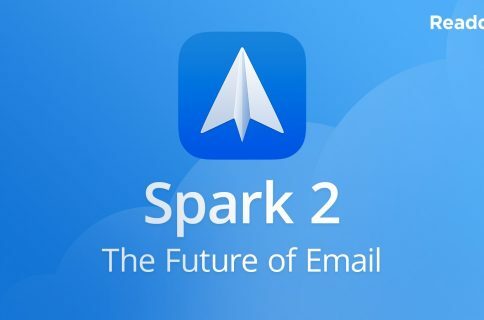 Last but not least, Spark enhances your email experience with smart signatures, read receipts, quick replies and smart notifications that only alert you about emails you care about. With smart signatures, you can define multiple signatures like in many other email clients. What sets Spark apart from other apps is a cool feature allowing you to quickly cycle through your signatures when composing an email just by swiping. If you don’t have the time to respond to a message right now but want to give the sender some sort of feedback, you can tap on the Like, Thanks or Smile icons at the bottom of any email. Spark also supports read receipts so that app pings you when others have read your message, and vice versa. Allowing recipients to know that you’re read their message is an optional feature. You will also love Spark’s Calendar widget, a cool feature that combines al your event invitations in one place, letting you RSVP or save them to your iPhone’s Calendar app. And lastly, Spark’s Apple Watch component puts important emails on your wrist, with pre-populated quick replies and the ability to dictate a longer message, if you want. 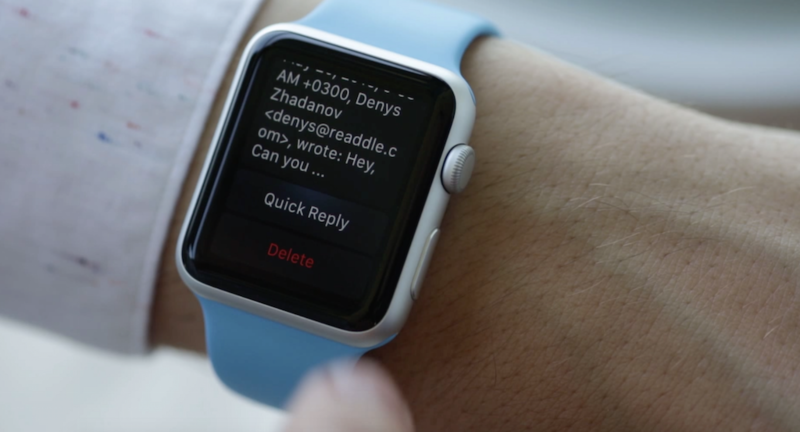 The Apple Watch app, along with a glance, lets you quickly check out the most important emails, and even reply with dictation. Smart inbox— Spark creates a Smart Inbox with cards to better manage your e-mail, and also gives you a traditional unified view of your inbox. Clarity—Your inbox is reorganized based on content awareness to show you the important things first. Smart Notifications—You can set up notifications to show up only when you get e-mails from people you care about. 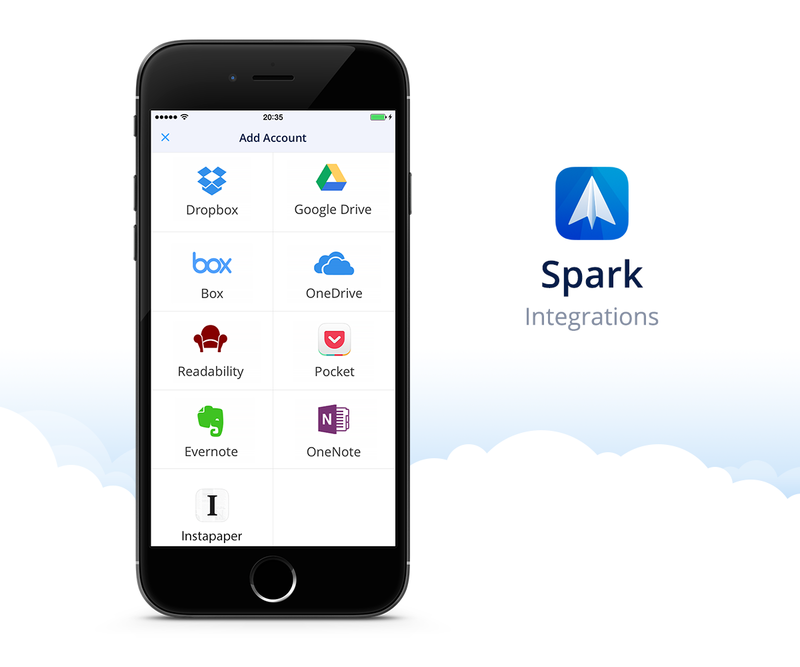 Integrations—Spark integrates with Dropbox, Evernote, Google Drive and Box and allows you to save both email attachments and actual emails there. What’s unique is that you can set up two Dropbox accounts: one personal and one work. You can also easily convert an e-mail into a PDF file with just one button. Personalization—Spark is the most configurable email application. This is the only e-mail client that adapts to your workflow. You can set up different menu items, number of e-mail in each card, menu bar position, widgets to show and much more. Smart Search—We wanted to create a better way of searching the e-mail, because the current search is broken. Natural Language search allows you to ask exact questions. For example: type “Attachments from David” and Spark will only display e-mails from David that contain attachments. 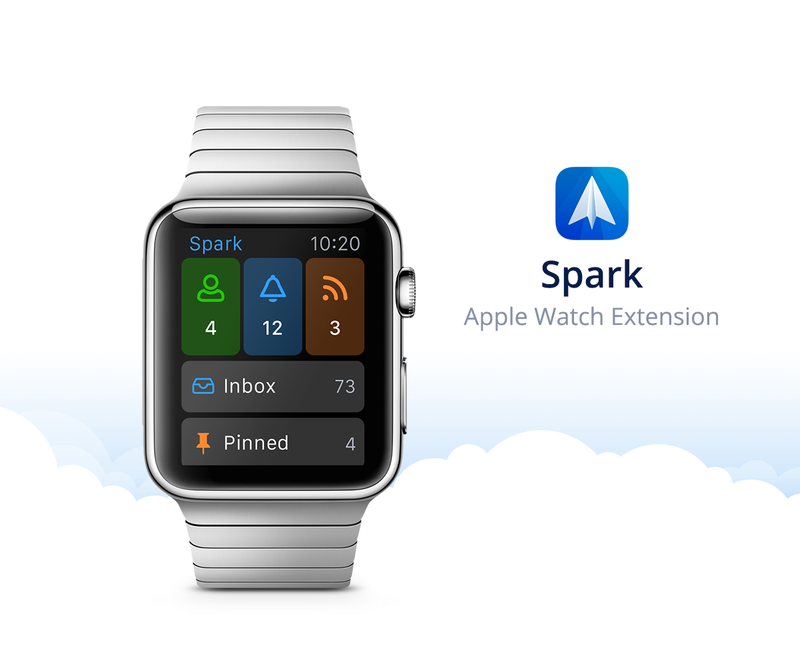 Spark for Apple Watch—Spark is perfect for Apple Watch. It only notifies you when there’s an important event. 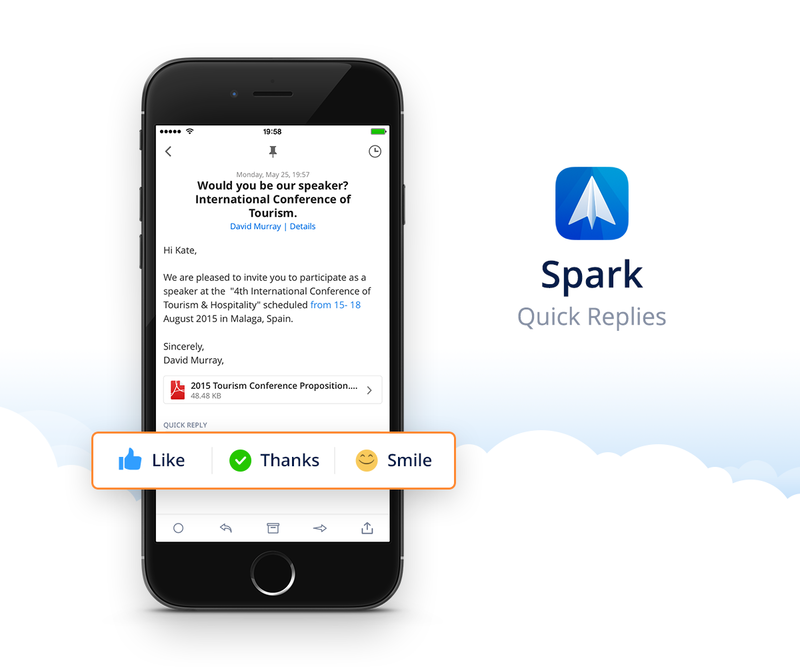 Moreover, Spark lets you reply with dictation or a “quick reply” button (unlike native Apple app). 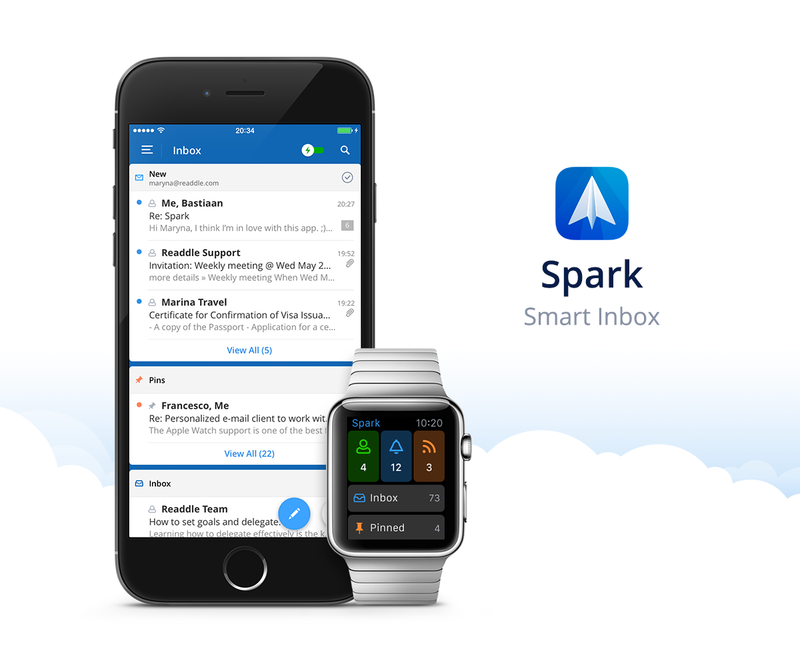 I’ve found their marketing claims to be accurate as Spark, for the most part, has already replaced Apple’s Mail, Dropbox’s Mailbox, Microsoft’s Outlook and the excellent TL;DR as my go-to iPhone email client. But don’t take my words for it, take Spark for a spin—it’s free. Spark is available in the App Store at no charge.